Children head back to school in three to four weeks or less. 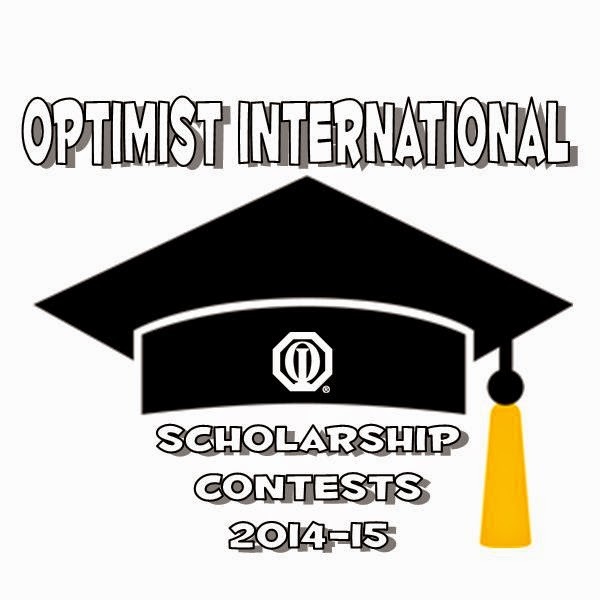 While you scratch your head wondering how that can be possible, let me tell you about the Optimist International Scholarship Contests for 2014-2015. As always, the contests begin at the club level. Following rules determined by Optimist International and a timeline set by the district based on those rules, Optimist Clubs invite students to participate in essay and oratorical contests. The Optimist International Junior Golf Championships is underway at the PGA National Resort in Florida. More than 500 junior golfers from around the world have descended on the resort to play in this prestigious event. 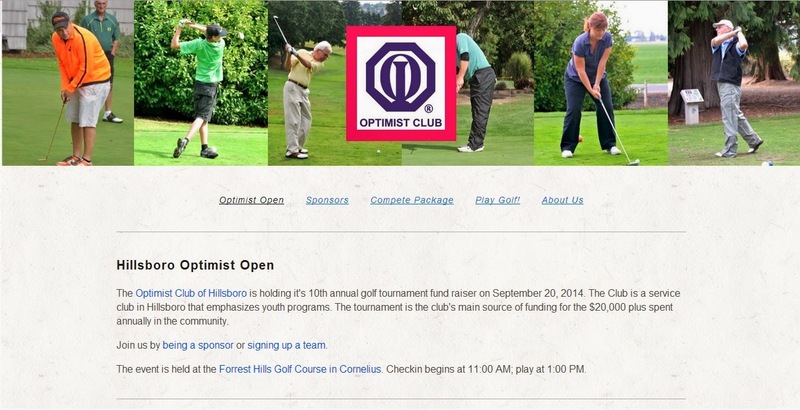 Not to be left out of the golf excitement, the Hillsboro Optimist Club wrote in to ask if the district might promote their annual fundraising golf tournament: The Hillsboro Optimist Open. Seeing as how they've created an entire website for it, how could we resist? According to the website, the golf tournament is the club's main source of funding for more than $20,000 in donations that the Hillsboro Optimist Club makes in the community every year. Please click here to visit and join in as a sponsor or golfer. 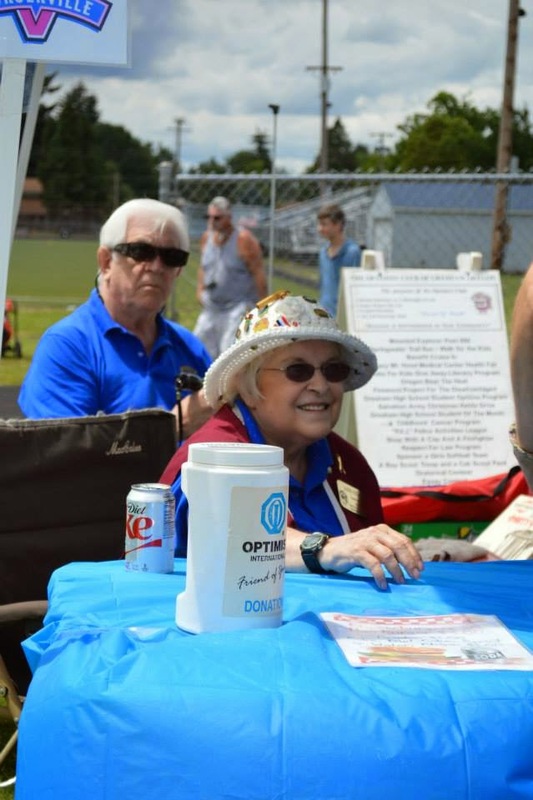 If your Optimist Club would like to promote an activity or event, or provide the results of a program that you have held, please click here to share your story. Governor Fred: "My heart is full of passion for this organization"
Twenty-one PNW District Optimist Club members joined Governor Fred Wallace at the Optimist International Convention in Las Vegas, NV. Good Day fellow Optimists, Foo's and JOOI members. International Convention was the most fabulous Convention I think we have ever been to. My heart is so full of passion for this organization, the wonderful people involved in it, and the youth we are able to help. I will try in a few short paragraphs to relay some of the passion and heart felt information we received. We had really wonderful entertainment at the different functions. Awesome food, and camaraderie. We heard many stories of why we do what we do and the people we help. The training sessions were well done, precise, to the point and easy to understand. We are members of only one of a few of the largest service organizations in the world. Through the caring for each other and the love for our youth we need to keep this group going for future generations, the only way to do that is to grow. All you have to do is ask someone to take a look at what you are so passionate and excited about. We have 79 days to make Our District one of the top in Optimist International; I really, really need your support and help. It won't happen without YOU. So let's show the results of our efforts to the stupendous Optimist International 2013/2014 President, Ron Huxley. If you think this Convention was fun, wait till you see what we have in store for our District Convention August 14/16/2014. By the way, there were 110 first timers there in Las Vegas; we have no excuses at all. Can you imagine the thrill of going across stage at First Quarter and showing the other members in your club that they can do it too? I can't thank you enough for all your help this year, but we are just getting started. I love all of you. When people like President Ron Huxley and Ken Garner President Designate lose it when relaying their passion, maybe there is hope for me. You have given me a wonderful gift this year by allowing me to follow you to the top. 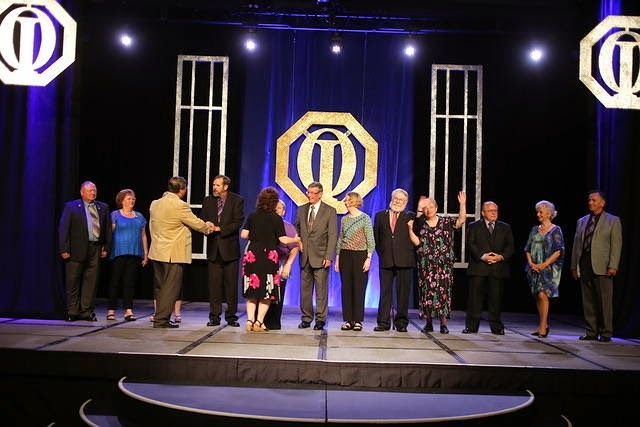 The Optimist International Convention #OIConv14 kicks off this week in Las Vegas, Nevada. There are 23 PNW District Optimist Club members registered to enjoy the festivities and learning opportunities on site; however, thanks to streaming video, even those at home can take part. Times are approximate and are subject to change. The platform that Optimist International uses to broadcast is UStream. By logging into UStream with your Facebook account, or by creating an account on UStream, viewers are able to comment and hold discussion with other viewers who are also watching from their home or office. It's a great way to network with other Optimist Club members from around the world. We plan to post updates on the PNW District Facebook page as well at https://www.facebook.com/pnwoptimist. Hope to "see" you there. We wish you a Happy 4th of July. Please click. You'll be glad you did. Oregon Beat the Heat Racing has posted no less than 206 photos of the Gresham Optimist Club and Beat the Heat Racing Cruise-in album on its Facebook page. 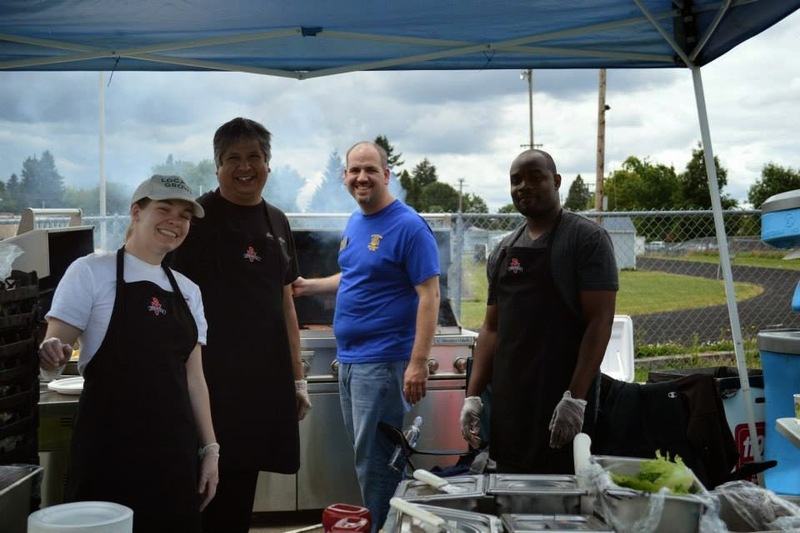 Held on June 29, 2014, it is the largest fundraising activity that the Gresham Optimist Club will conduct this year. According to President Kevin Schmid, over 160 cars participated. 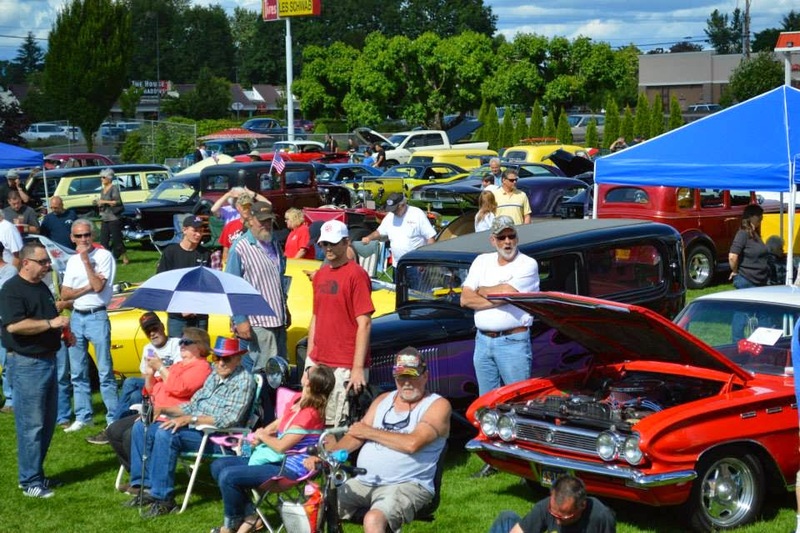 Chaired by Joe Anderson, the club organized and promoted the event and manned the concession stand on Cruise-in day. It was a 12-hour day for those who went the distance. 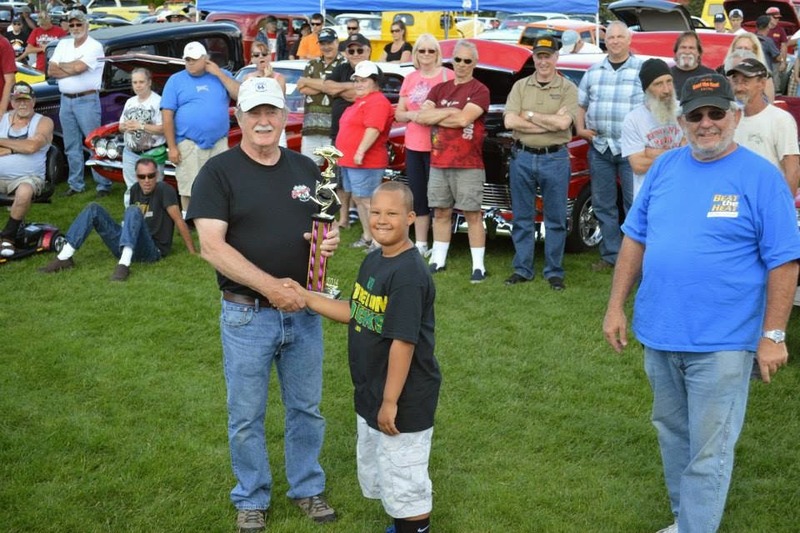 In addition to serving up food and fun, the club also awarded trophies to the cars and their owners and coordinated vendors and people who were there to enjoy a perfect day and some awesome cars. Here's a sample of the photos you'll see when you head on over to Facebook for the photo album of 2014 Cruise-in. Don't wait, check them out!